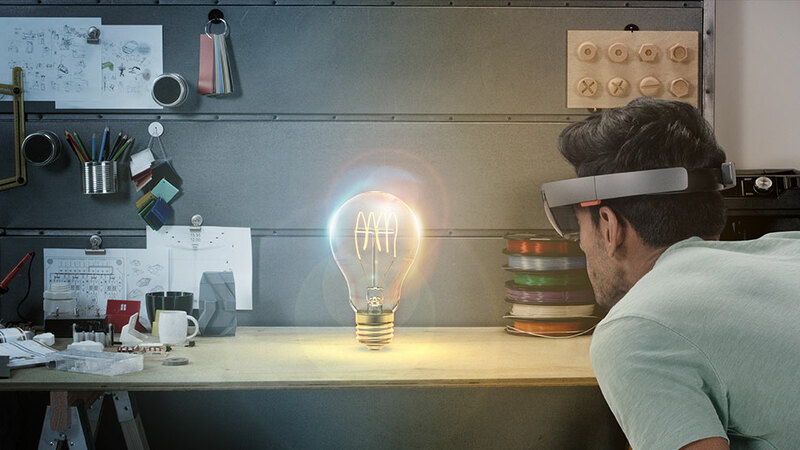 Back in December, Microsoft launched the Share Your Idea competition, looking for AR app ideas for its HoloLens headset. We now have the three shortlisted efforts from which a winner will be chosen. Microsoft was looking for "viable" ideas, which rules out anything too far fetched. The winning idea would be something that could be created in house by the Redmond designers, devs and artists. Over 5,00 entries were submitted. The winning applicant will get the opportunity to sit in on weekly development meetings and Q&A sessions to get a feel of how Microsoft builds its own software. This one takes you deep beneath the waves into the ocean, where you can interact with autonomous sea creatures. There will be specific marine animals at the watery depths they are found in the real world and it is up to the user how deep he wants to go - with dive details and a list of the available animals beamed onto a wall. Talking of walls, these could be covered in coral, as could the floor and ceiling, thanks to the three-axis mapping available on HoloLens. This idea is mega simple, sure, but that's what we like about it. For people not able to scuba dive or even highly-experienced divers not able to go to the depths the app provides, there is a whole new world to explore here. But why explore one world when you can nosey around an infinite amount? That's the thinking behind Galaxy Explorer, which takes you into outer space. You can fly around the Milky Way, measuring distances between planets getting a plethora of info on a specific world or star using a simple gesture or voice command. If one planet particularly takes your fancy, you can even land on its surface and have a wander around. Again, not an idea that's exactly outside of the box, but one that we can envisage getting lost in for hours at a time. No, not a game where you have to kidnap a contestant from a reality TV singing show, but an Indiana Jones-inspired adventure where you're expected to solve puzzles in order to win the treasure. The traps and puzzles will be laid out on the real surfaces of your environment. What's really cool here, is that different rooms in your house will have the potential to become totally different levels, each with their own set of challenges.